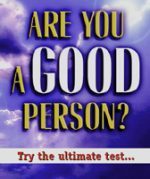 You have pacified your conscience by saying that you would find peace with God one day . . . when you get a round Tuit. Well, now you have one. This is why you shouldn’t wait any longer: If you have told one lie, you are a liar. If you have stolen anything (irrespective of value), you are a thief. If you have looked with lust, you have committed adultery in your heart. If you hate someone, you’ve committed murder in your heart. Your sin has angered God. The Bible teaches that you are His enemy. On Judgment Day, you will end up in Hell. But there’s good news: “God commended His love towards us, in that, while we were yet sinners Christ died for us.” Jesus Christ took your punishment, then He rose from the dead and defeated the grave. If you repent and trust Him, God will grant you everlasting life. Read your Bible daily and obey it. God will never let you down. 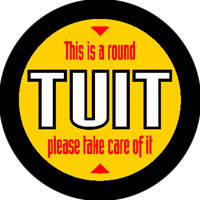 Be the first to review “Round Tuit (100pk)” Click here to cancel reply.